When an unexpected misfortune happens to us who are innocent, we should not immediately grieve but rather we should try to see in this the Providence of God, Who, through that misfortune, is preparing something new and beneficial for us. One day, unexpected news came to Blessed Theophanes (Aug. 19), the abbot of Dochiariou, that the Turks had seized his sister's son, forced him to embrace Islam and took him to Constantinople. Theophanes immediately traveled to Constantinople and, with the help of God, succeeded to find his nephew and to secretly bring him out of Constantinople and brought him to his monastery on Mt. Athos. There, he again, received his nephew into the Christian Faith and, after that, also tonsured him a monk. However, the brethren began to complain against their abbot and his nephew for fear of the Turks, for they were afraid that the Turks would find out and come and destroy the monastery. 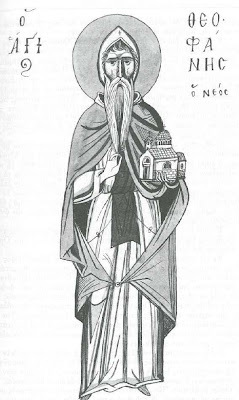 Not knowing what to do, St. Theophanes took his nephew and, with him, secretly withdrew not only from Dochiariou but also from the Holy Mountain and came to Berea. 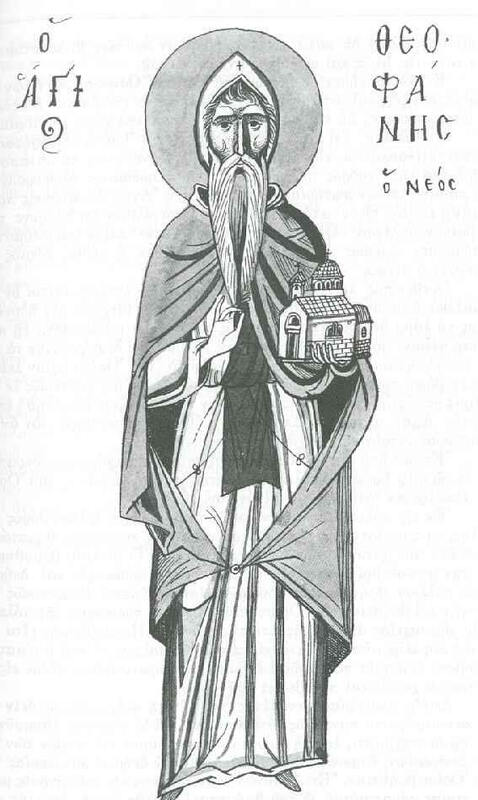 The later activities of Theophanes in Berea and in Naousa proved how much that misfortune was beneficial to the Church. That which Theophanes could never succeed to achieve on the Holy Mountain, he achieved in these other places to which he had fled from that misfortune. Namely: he founded two new monasteries, where, in time, many monks were saved and where countless men found comfort for themselves. In addition to this, his holy relics among the Christian people became a source of healing for the strengthening of faith among many unbelievers and those of little faith. Thus, God wisely directs the destiny of men through unexpected misfortunes, which momentarily seem to men that they are going to their final destruction.